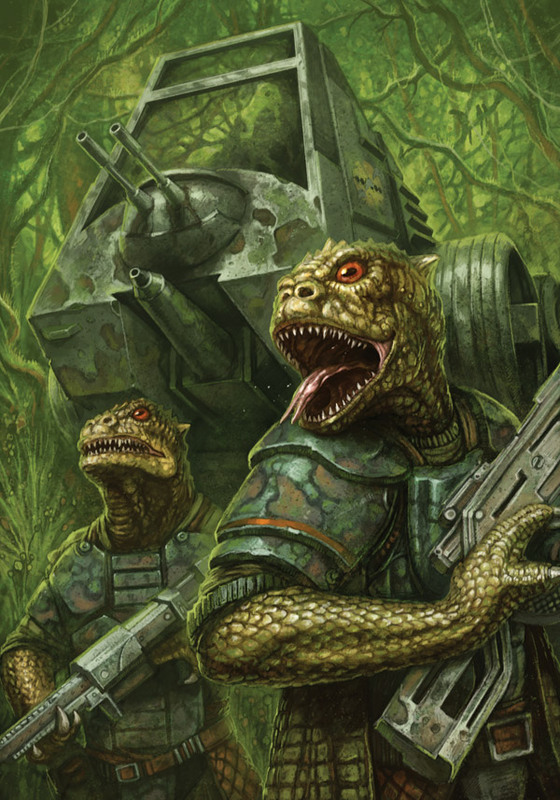 A new Star Wars table top RPG…….intriguing. Star Wars®: Edge of the Empire is a standalone roleplaying game experience that places players in the roles of hard-hearted bounty hunters, roguish scoundrels, charming smugglers, or fearless explorers trying to survive and thrive on the edges of civilization…and the Star Wars: Edge of the Empire beta test is your chance to be among the first to play! This limited edition, 224-page softcover rulebook provides you a chance to lead these galactic explorers. Read on for more about the beta, skip below for an overview of Edge of the Empire, or head to our webstore to order your copy! What is Star Wars: Edge of the Empire? Star Wars: Edge of the Empire is the first of three epic roleplaying game installments. Each will be a standalone core rulebook, but will complement the other two to form a single game system. Each of these three planned core rulebooks presents the Star Warsgalaxy from a different point of view, and they all take place during the height of the Rebel Alliance’s struggle against the Galactic Empire. Star Wars: Edge of the Empire is the first of these installments, focusing on the fringes of society, the scum and villainy of the galaxy, and the explorers and colonists of the Outer Rim. In this game, players take on the roles of hard-hearted bounty hunters, roguish scoundrels, charming smugglers, or fearless explorers trying to survive and thrive on the edges of civilization. 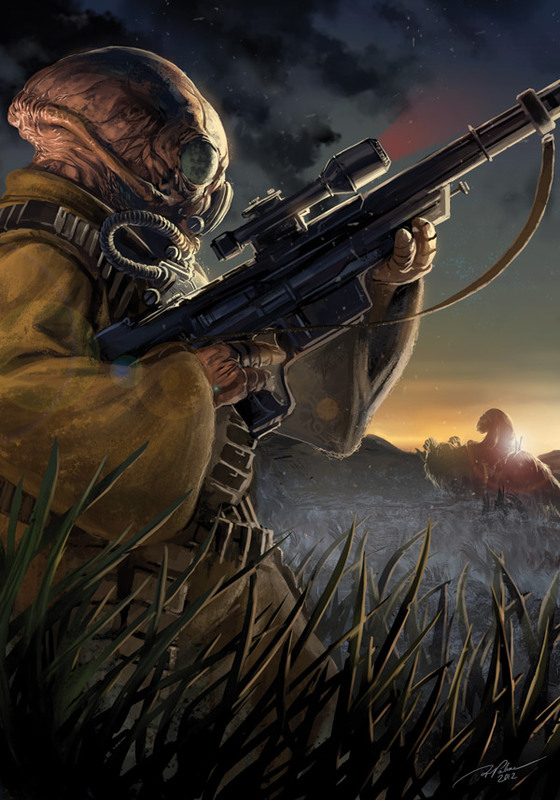 In the second installment, Star Wars: Age of Rebellion, the players take the fight to the oppressive Galactic Empire as cunning spies, cocky pilots, and dedicated soldiers in the Rebel Alliance. Finally, in Star Wars: Force and Destiny, the players become figures of legend: the last surviving Force users in the galaxy. Hunted by the Empire, they must stay alive, and more importantly, stay true to the ideals of their forebears—the fabled Jedi. Each of these independent game lines stands alone as a unique gaming experience while fully integrating with the others to form a single unified system. 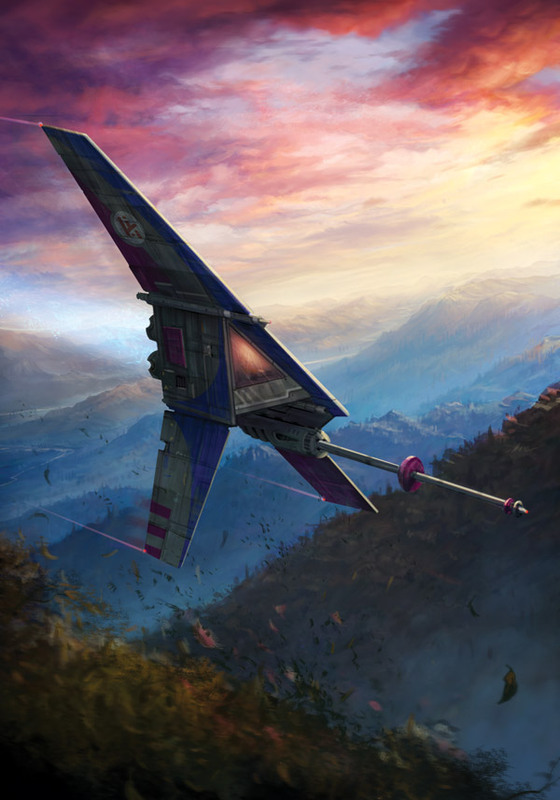 For more on Star Wars: Edge of the Empire, skip below to read our overview. How can I get my copy of the Star Wars: Edge of the Empire Beta? International customers should check back in the coming weeks, when we’ll post an update about international availability. Below, it says that Star Wars: Edge of the Empire uses custom dice. How do I get those for the beta? What else do I need in order to play? Each beta copy of the book includes a sticker sheet, with all the sides of all the dice you’ll need. Using this sheet of stickers and your own polyhedral dice, you’ll be able to create Edge of the Empire‘s custom dice. Alternatively, you can choose to download the Star WarsDice app for your iOS or Android mobile device. This convenient die roller includes dice for the X-Wing(TM) Miniatures Game and the Star Wars RPG line, as well as seven common polyhedral dice for all your gaming needs. Aside from the beta rulebook and the dice, no other components are required to play Star Wars: Edge of the Empire. How will the beta differ from the final product? 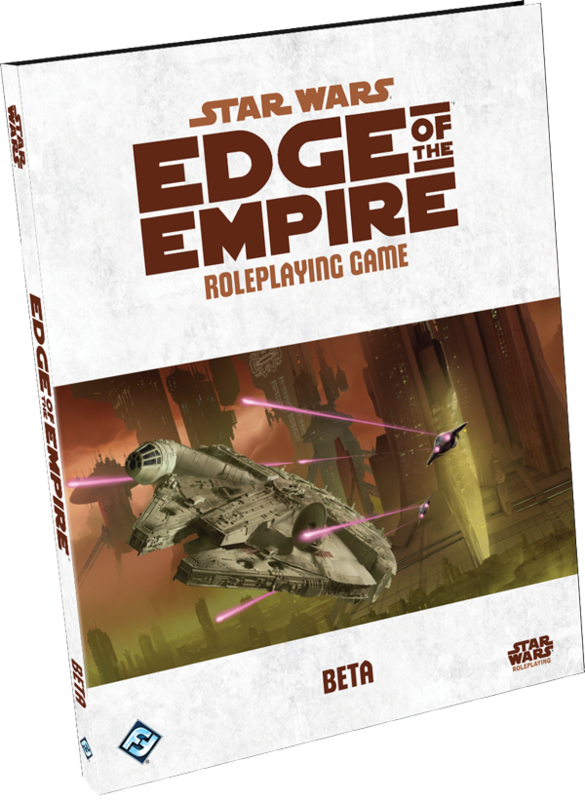 The Star Wars: Edge of the Empire beta is a fully developed and playable product, and it includes all the rules and materials players need to enjoy countless games of Edge of the Empire. However, it is important to note that some of the elements in this beta are not representative of the final product. The beta contains comparatively very little art, and nearly all of the background material has been removed to ensure a more concise playtest experience. How often should my group plan on playing? As often as possible! It would be ideal if your group makes time to play at least four sessions over the course of the beta period (we will announce the end date soon). Before your first session, it is a good idea to prepare by reading through the rulebook to make sure things go smoothly. Since you will only have a limited number of weeks to submit feedback, holding a session every week would be best. What kind of feedback is FFG looking for? The sort of information that is most useful to us is specific, well thought out, and concise. Good feedback states the issue at hand and accurately cites page numbers and rules contradictions therein. We are primarily concerned with issues that affect gameplay, such balance or clarity issues. We will be adding weekly updates to our website as the testing progresses. There are two main methods for you to submit your feedback. First, we have a public forum on the FFG website www.fantasyflightgames.com/edgeoftheempirebeta. You can use this board to discuss the beta test with the other people involved, post questions and feedback, and get news updates from the Star Wars Roleplaying Game team. Second, you can submit any specific reports or feedback directly to the development team at the beta test email address (edgeoftheempirebeta@fantasyflightgames.com). When submitting your feedback via email, it is most helpful to us if you consolidate all of your questions and comments into a single document for your entire group, waiting to send it in until you have collected all feedback into a single document. This will help the development team here more easily organize and process all of your comments. UPDATE: When do I need to submit my feedback? We will stop officially accepting feedback on December 1st, 2012. Life isn’t easy at the edge of galactic civilization. Money, food, and other necessities are often in short supply. It takes a great deal of cunning, drive, and luck to survive, let alone get ahead in life. Many beings live through grit, determination, exploration, and often illicit or dangerous activities. 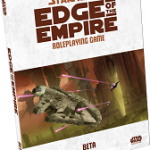 Star Wars: Edge of the Empire is a roleplaying game that captures the visionary essence of the Star Wars universe, while focusing on its grim and gritty corners. In control of a character exploring the Outer Rim, you’ll do business in places where morality is gray and nothing is certain, living on the fringes of both the galaxy and its society. 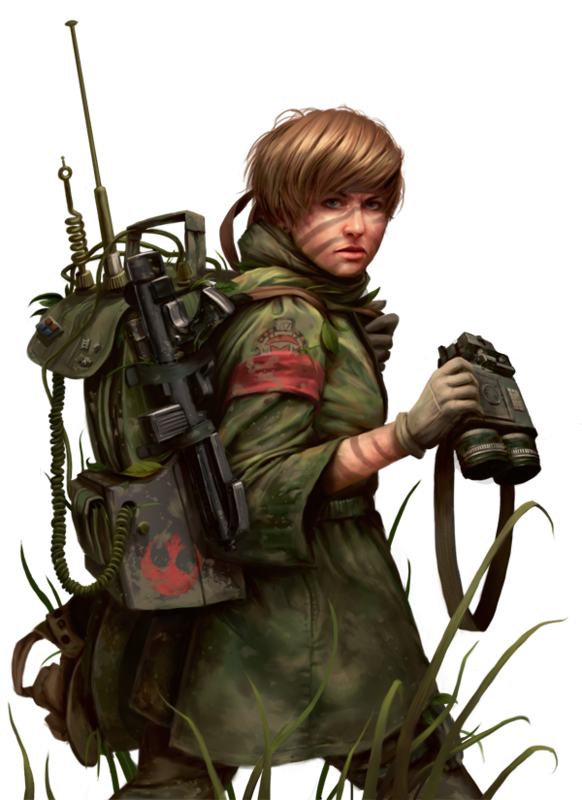 In an Edge of the Empire campaign, bounty hunters, smugglers, mercenaries, and explorers not only rub elbows with doctors, politicians, and scholars, but they find themselves thrust into adventures alongside them. During these adventures, you and your fellow fringers will often find yourselves facing any number of challenges, from repairing a damaged starship or slicing your way past a security panel to exchanging blaster fire with hired gunmen out to collect a bounty. With little law or order on the Outer Rim, you must rely on your innate abilities, trained skills, and special talents to survive. To begin, you’ll take the role of one of eight unique species, then choose a career and specialization as distinctive as your individual play style. As a Bounty Hunter, you might take on the Gadgeteer specialization, and keep a trick up your sleeve for every possible challenge. Or, you might master the wilderness of countless worlds as a Survivalist, and specialize in tracking your prey wherever he chooses to hide. Looking for something more subtle? As a Colonist, you’ll play as one of the Core World’s elite, an educated Imperial citizen seeking a new life far from the bustle of Imperial Center. But are you a Doctor, bringing your healing arts to those who need them most, or a Politico, introducing law to the lawless wilds? With eight species, six careers, eighteen specializations, and countless other defining characteristics, your character creation options are limited only by your own imagination. One of the cornerstones of the Edge of the Empire experience, Obligation represents a debt, nemesis, duty, or other motivating factor that drives your character’s efforts on the fringes of galactic society. After all, while many beings venture to the Outer Rim to satisfy a pioneering spirit of exploration, others are not so free. Obligation is a mechanical and narrative concept, established during character creation, that answers one all-important question: Why are you here? Whether it’s blackmail, favors owed to a crime boss, or good old-fashioned debt, Obligation is the shadowy predator that stalks you throughout your successes and failures. A group may share the same Obligation, or it may be a deeply personal factor in each character’s background; it may be a tangible entity such as spice addiction, or something deeper like an unpaid favor to a dear friend. Over the course of a campaign, however, it’s always there, putting pressure on the group and providing the Game Master with a range of useful and engaging plot hooks. At the start of each session, the Game Master randomly determines if someone’s Obligation will be “triggered,” and if so, whose. Will that pesky Bounty Hunter make another attempt to capture you, interrupting your delicate mission? Will your pilot’s addiction flare up when you need him focused? Or, will simple stress over your doctor’s criminal record on Nar Shaddaa leave everyone a bit preoccupied? At the same time, a character who willingly takes on additional Obligation opens up doors for himself and his crew. Additional Obligation during character creation can mean more starting experience or vital credits to purchase a ship. So go on…borrow a bit more money from that Hutt. What’s the worst that could happen? Featuring unique custom dice, Star Wars: Edge of the Empire presents a range of compelling storytelling options. Every roll of the dice has a tale to tell, providing results well beyond mere success or failure. With these custom dice (proxies or mock-ups are required for the beta, and charts are provided in the book), a range of deep and engaging story outcomes are always possible. Six main dice, three positive and three negative, make up the core of the Edge of the Empire custom dice system. Ability, Proficiency, and Boost dice provide beneficial symbols, and represent a character’s basic aptitude, advanced training, and environmental advantages. Conversely, Difficulty, Challenge, and Setback dice provide negative symbols, and represent a task’s inherent complexity, active opposition, and environmental disadvantages. Through a straightforward system that takes all conditions into account, players and Game Masters quickly build a dice pool for each task, then they roll and let the dice help guide the growth of the story. Where other RPGs’ dice systems determine success or failure as a binary state, Edge of the Empire’s custom dice allow for a rich tapestry of narrative possibilities. For example, you might succeed in wrestling a Gamorrean to the ground as you planned, but in doing so your blaster might fall from its holster and slide just out of reach. On the other hand, you might utterly fail in your attempts to lie to an Imperial customs officer, but in doing so discover that he’s open to bribery. The ever-present potential for success with complications or failure with advantages adds a compelling layer of realism to all your endeavors. 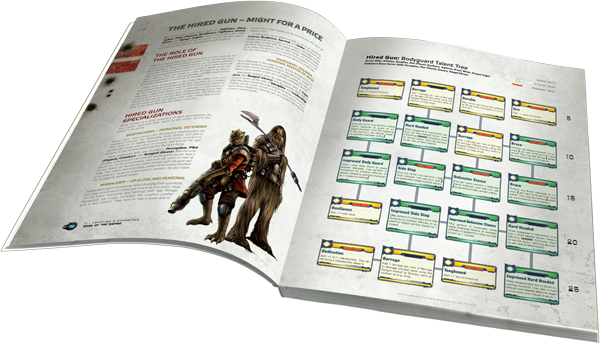 With comprehensive rules for character creation, gear, combat, Force-sensitive characters, and even a full adventure, the Edge of the Empire Beta book includes everything you and your group needs to get started. Gather your crew and start the adventure today!